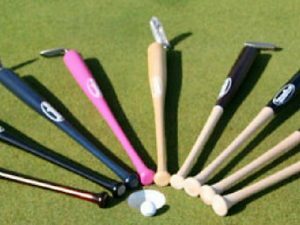 HOW BASEBALL INTERTWINES WITH GOLF? Golf has rapports with multiple sports. But no sport naturally intertwines with golf quite like baseball. The parallels are many, the most obvious being the calendar: Both start in the spring and end in the fall. Technically, the PGA Tour plays in November, December and January. But, like baseball’s Winter Leagues, the general public doesn’t pay nearly as much attention. They use the same stomping grounds for training, too: The PGA Tour works its way from the West Coast to Florida, while baseball’s camps are scattered throughout Arizona and the Sunshine State. These warm-ups target specific dates. Baseball has Opening Day, arguably the most anticipated moment in many teams’ seasons. This coincides with the week of the Masters, a tournament regarded as the best in golf. The primary actions of both sports is the swing. The fundamental instructions are interchangeable: Shorten the backswing, drive your hips through the ball, don’t fall back on impact, and keep your hands quiet. It’s why a home-run swing and a perfect golf follow-through can be eerily similar. Generally speaking, among baseball players, the best golfers have been pitchers. Pitchers, like golfers, must perfect a consistent wind-up. Also, there is a variety of pitches pitchers have to throw: this makes them more conscious of ball flight, and of what the ball is doing. Baseball and golf share two of the more family friendly fan atmospheres in American sports. Ballparks are one of the more tranquil settings one could ask, which might explain why the San Diego Padres converted their stadium into a golf course during the off season. Both sports put a premium on mental toughness. A 162-game baseball schedule can be grueling, one that makes it easy to succumb to sloppiness or loss of concentration. The same can be said for golf, where keeping your wits for 18 holes requires the ability to shake off the occasional double bogey or any struggles with the driver. Golf and baseball exist in a vacuum; they adhere to no clocks. They are timeless, and if things go wrong, there is always tomorrow. The Chicago Cubs and their Marquee Sports & Entertainment division are entering the golf business through the creation of a PGA Tour Champions event slated for March 2020 in Arizona. A partnership now in final negotiations between Marquee and the Cubs, the PGA Tour, Western Golf Association and the MLB Players Association will stage the event during spring training and feature Champions players and retired MLB players. The still-unnamed event will be an official part of the Champions calendar for 2020, and will serve as further promotion for Cactus League spring training, already a popular draw among tourists. 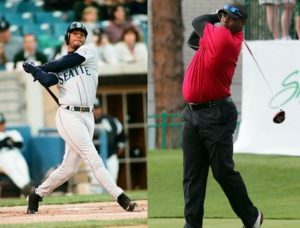 The event will feature a pro-am competition involving both pro golfers and former big league baseball players before the actual tournament, and then a pro-am style weekend competition also involving figures from both camps. A course for the event has not been chosen but it will be in the Phoenix area, which houses half of the 30 MLB teams for spring training in the Cactus League, and the parties are researching several course options. “We have already fielded inquiries from several interested clubs,” said Vince Pellegrino, WGA senior vice president of tournaments. The Western Golf Association will be the host organization and will handle tournament operations. Marquee Sports & Entertainment will represent sales and promotional outreach and is beginning to market naming rights for the event. The MLBPA will aid in promotion, developing baseball-themed activities during the event, and securing participation by former players.